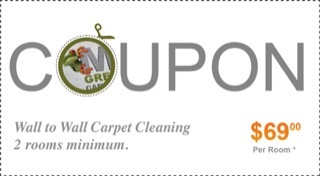 Your one stop to all your carpet, rug and upholstery cleaning needs, enjoy your time at our website. We’re ready to help with any questions you may have. – Professional Green Carpet Cleaning. – Spots and Stains Removal – Including pet stains, food stains, drink stains and more for all types of fibers and fabrics. – Odor Removal – Including smoke, mold, pet odor, and more for all types of fabrics and fibers. – Scotchgard \ Scotchgard treatment. We value you as our customer and we know that building a trusting relationship based on satisfaction, support and integrity are very important. Our trained and friendly employees will be happy to assist and provide you with a professional carpet, rug, and upholstery cleaning services. We meet the highest standards in the field both in your home or place of work, over the phone or by email we will offer you top-notch customer service and support. Choosing a green cleaning service for your home or office space is the safest and cleanest choice. The unique methods we mastered over the years such as the deep steam carpet cleaning, area rug cleaning as well as our well-trained furniture cleaners will provide you with a healthy and clean home. Free from musty odors, dirt, and grime. We will help control dust that exists in all fibers and fabrics such as carpets, mattresses and soft furnishings, and that mostly affect those who suffer from asthma and other breathing issues. From oriental rug cleaning to modern area rugs, we use only the best and safest products and methods. We have the knowledge to handle all types of fibers. From synthetic to fine natural fibers such as wool and silk. Our trained and skilled rug cleaning team is able to repair and remove all types of stains or odors. From food stains to pet urine and wine stains. From mold odor to smoke and urine smell. Using methods and products that are safe for both your home and your health leaving your carpets and rugs in top shape. Professional Couch / Sofa Cleaning – Dining / Living Room Chair Cleaning, Ottoman – Mattress Cleaning, Sofa Bed and other upholstered items of furniture. Top Rated Carpet Cleaning Service For Residential and Commercial Carpet, Rugs or Upholstery in Brooklyn, NY. Serving NYC: (Brooklyn, Queens, Manhattan, Staten Island, Bronx). Nassau County and Westchester County NY | Parts of NJ and CT.
We have years of experience. When you choose us you can rest assured that you will be treated with respect and care. You will get fast, reliable, friendly and fair priced services. 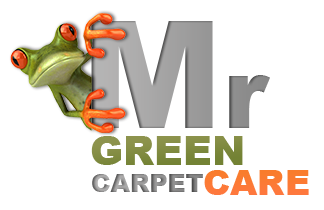 Mr. Green Carpet Care provides you with Green Eco-Friendly Services, safe for your home, family, and pets. knowing that after we finish the job, your home/office is left clean, fresh and chemical free! We will be happy to answer any question you may have via email or phone. Call us or use our friendly quick quote form and get exact prices for all your local cleaning needs.